Equitrekking • Max Blog • Max. your best interest. For those who love to ride, seeing the world from the back of a horse makes for a perfect vacation. Darley Newman, who hosts the PBS show Equitrekking as well as several other travel-related shows and web-video series, has been riding since childhood. On her show, she takes viewers along on horseback through some of the world’s most exotic places. Her travel company also arranges horseback tours around the globe for vacationers. Newman talked to Max Luxe about what drives her, what her days are like on the road, and where she’d like to go next. – How did you get interested in luxury riding trips? Horseback riding is such a great way to see a new place and really immerse yourself in nature and culture. There are amazing luxury riding vacations all over the world in destinations as far flung as Jordan and as close to home as Virginia. – What’s your favorite place to ride on vacation? I have a few favorite riding destinations in Ireland, Botswana, Turkey and throughout the American West and Southwest. In Ireland, Castle Leslie is wonderful and unique. The horses and riding are exceptional with hundreds of cross country jumps built by Willis Bros. of Badminton Horse Trials fame sprinkled throughout the private estate, which is still inhabited by its eccentric founding family. You can hang out with Irish aristocracy, unwind in the Victorian-themed spa and spend nights in this splendid castle. Each room is richly decorated with family antiques and fireplaces, great for relaxing after a day on horseback. Past guests have included Irish poet WB Yeats, Prince Pierre of Monaco, Rolling Stones singer Mick Jagger and members of the Churchill family, to whom the Leslie family is related. – What is your typical day like while you’re on the road shooting an episode? Every day is different and an adventure when we’re filming for Equitrekking. We’re normally in some exotic destination riding horses and trying other adventures with locals, who are passionate about their home area and sharing its rich culture, cuisine and history. When we’re filming, days are long, as we’re always trying to take advantage of the light and capture the diversity of the destination so the viewer feels like they’ve come along for the adventure. We’ve filmed in some extraordinary locations, including the Royal Stables with HRH Princess Alia in Jordan, historic Blair Castle in Scotland’s Highlands and the wild lava fields of Iceland. Equitrekking host Darley Newman riding in Botswana’s Okavango Delta. – What are the most popular trips that riders book with Equitrekking? North American ranches and riding tours in Ireland are really popular. These trips are great for both first time riders and more experienced equestrians and can be a great choice for mixed groups, where some people want to ride horses and others want to fish, golf, go to the spa or do other sightseeing. We started Top20Ranches.com and the Equitrekking Vacation Guide to catalog some of the exceptional ranches and riding vacations we’ve discovered and make it easier for other people to find these often lesser publicized experiences. 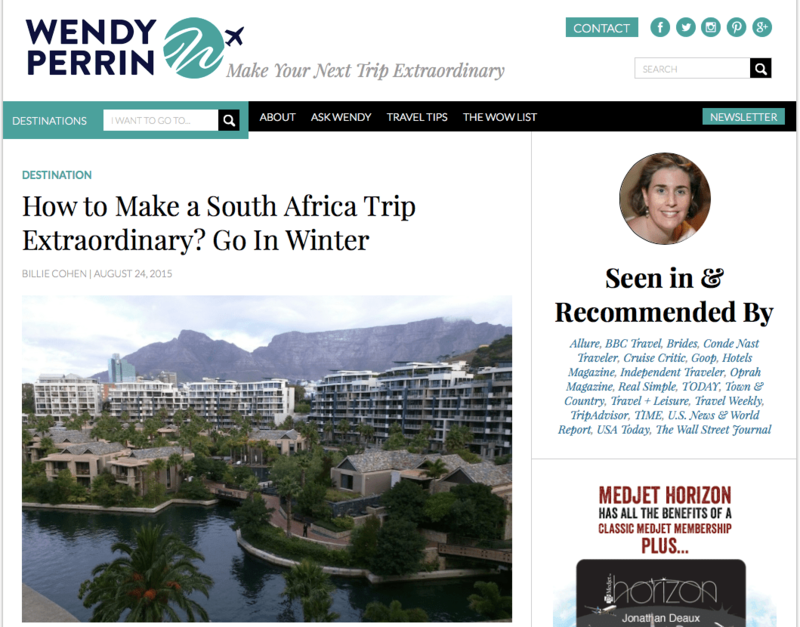 – What’s a luxury destination for people interested in riding that’s under the radar? If travelers want to combine some of the most amazing wildlife viewing with a luxury, classic safari camp, Botswana has great choices and is lesser known. I’ve traveled throughout, enjoying exciting riding and some of the best wildlife viewing in the world. One amazing place that is definitely lesser visited is the Makgadikgadi Pans, one of the world’s largest salt pans. You feel like you’re riding the surface of the moon in this remote, otherworldly locale, which has the best stargazing I’ve ever experienced. A great time to visit is during the wet season, when you can observe the last surviving migration of zebra and wildebeest in Southern Africa. I even got the chance to gallop with a herd of zebra and wildebeest. This is not for the faint of heart! For guests who want a truly memorable, stylish safari experience, stay at Jack’s Camp, an opulent tented oasis complete with Persian rugs, unusual African art and artifacts and private butler service.